It’s sunset, and a party in a mansion on the California coast just south of Los Angeles, is getting into full swing. The venue is breathtaking, like the property values. A Jacuzzi sparkles, bartenders shake martinis, a DJ is sending out the latest pop warbling and scantily clad party-goers flirt in a manicured garden. Mark Schindler, a dark-haired and distinguished businessman, moves through the crowd with a stunning blonde on his arm, the kind of woman who looks as if she stepped off the pages of Vogue. They laugh together, drink cocktails, marvel at the crowd; and little does anyone know that Schindler didn’t find her on his own. Schindler found his date through a unique and extraordinary dating agency that was set up in Beverly Hills 16 years ago, but is proving so successful that it now has branches across the United States. It is an agency where wealthy men pay to marry beautiful women. ‘I’m not sure I’m after a trophy wife – the term implies „beautiful but doesn’t have much else going on’. I just want an attractive woman who’ll treat me nicely,’ says Schindler, a 52-year-old property magnate who joined the agency two years ago. ‘I think it’s basically what all guys want. Guys are attracted by a pretty face, good body and a woman’s age’. Model Quality Introductions (MQI) has taken those rules of attraction and turned them into a high demand business. It caters to the affluent, upscale, choosy male (who must have an annual income of no less than $100,000) and fixes him up with beautiful single women, all of whom have been actively recruited, then personally vetted and given a ‘looks rating’ from one to ten by the company’s owner, Craig Donaldson. ‘I do what men whisper about,’ explains Donaldson, a 45-year-old former mortgage broker, who owns the company. ‘All men rate women on a scale. It’s an unspoken code that guys have. The only difference here is that men pay me to do it for them.’ Donaldson, using his own rating system, would probably score a six. He’s no Brad Pitt, but he’s charming and affable. His office overlooks a busy intersection in Beverly Hills, and around him the agency bustles. Along the walls are pictures of beautiful women, and out in the lobby there are more glamorous girls waiting to meet Craig. Even the matchmakers, mostly hidden away in their offices, look as if they could win beauty contests. 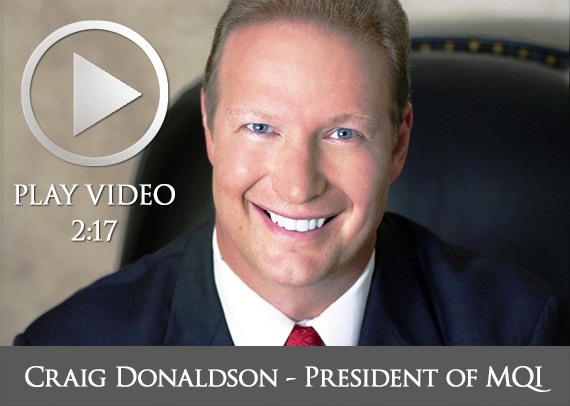 His VIP agency, as Donaldson likes to call it, evolved from another company he owned. ‘I used to run a matchmaking service that helped all of America meet all of America, but I could see a niche market,’ he says. ‘I kept meeting affluent men who’d tell me they wanted very beautiful ladies. Well, the problem is that beautiful women don’t generally come to matchmaking services – they have so many men chasing them they don’t usually think of it. We started hiring people to recruit for us to find beautiful ladies who were single, sweet and wanted to get married. And we found them! It became so successful that we sold off the other branch of the company to specialize in the niche market – affluent, commitment-minded men in their thirties, forties and fifties who wanted to meet beautiful women in their twenties, thirties and forties. The men are also screened- a process that involves two interviews and much form-filling to get to know a client’s personal taste in women- everything from ethnicity to breast size and hair color. He won’t take on a man if he feels he won’t attract what he’s looking for. ‘It has to be that way or it wouldn’t work,’ he explains. We have women now desperate to get on our books. Why? Because they know that any guy we set them up with is financially stable, educated, and he’s been screened by us. They know he’s looking for a serious relationship and is willing to spend good money to find it.’. Carolyn Donaldson had the right feeling about one of the dates she was sent on. It just so happened to be the owner of the company, and she was one of the few girls he hadn’t personally evaluated. Donaldson was tired of being single so he asked one of his matchmakers to set him up just as they would any of his clients. Carolyn, who was a real estate agent, fit his desires: slim, blonde and college educated. ‘I wasn’t looking for a rich guy, I wanted a guy who had his act together,’ says Carolyn. ‘I wanted a man who was smart and intelligent, a go-getter, someone with a college education like myself. The kind of guys you meet at the agency are high-echelon type people, and they want a long-term committed relationship and that’s why they pay big bucks to the agency to find it.’ Six years ago, they married. Jessica, 32, an actress and model who lives in LA, has been on nine dates since she joined Model Quality Introductions 18 months ago. ‘I was working as an assistant at the time and kept telling my boss about how I kept meeting the wrong kind of men. A lot of men are just looking for a good time – they just want a one night stand or are unwilling to commit emotionally. That’s when he mentioned MQI. I said, ‘Are you serious? I don’t have a problem getting a date.’ I soon realized how nice it was to meet great pre-screened men without having to go out to bars or clubs. I’m tall and men generally are either intimidated by me or they assume I’m really snobby, so it’s difficult to meet the right kind of men. I thought, ‘What have I got to lose?’ So I went into the office and was interviewed by one of their matchmakers for about two hours. I also met Craig. He screens all the women and told me later that my rating was a 9/10. I thought, ‘Well. now I know I’m OK!’ I didn’t mind being rated- I’m not the sort of person to take it too personally. Plus, it’s definitely a compliment to be accepted by the agency. ‘I told them I was looking for somebody who’s driven, successful, affectionate, generous in spirit and family oriented. All of the dates I’ve been on have been wonderful. But I haven’t found my perfect match yet. I keep an open mind about it. I’d love to find someone to settle down with in the next year or two. ‘I’m not looking for the wealthiest man in the world because I believe there are lots of ingredients that go into making a relationship or marriage happy other than having a lot of money. But it definitely helps. A lot of men I’ve met say they don’t care if their partner works or not, but I definitely want to carry on working’.